This description is about the original Sphinx, in South Side. The revamped Sphinx, in Oakland, is far more interesting: It’s built into a converted church. 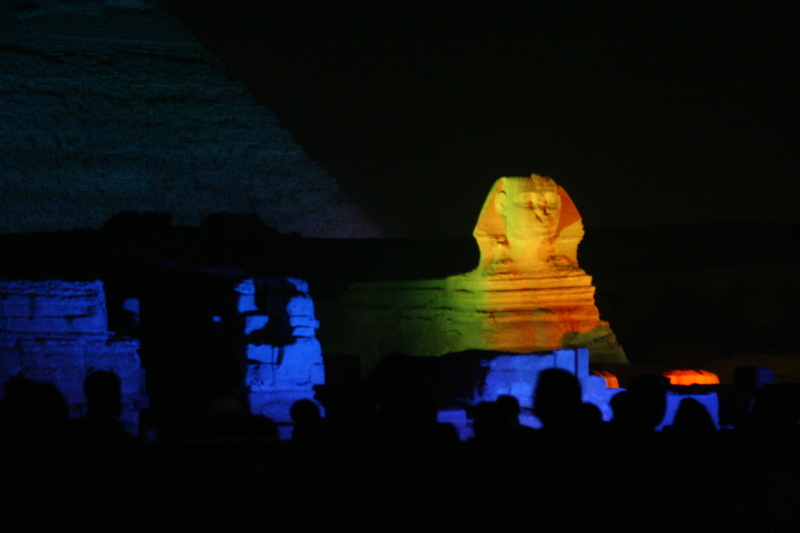 Photograph of the original Sphinx during a “son et lumière” show, Giza, Egypt. Stepping into the Sphinx Café is like stepping into the Giza bazaar: With its small tables, cushions on the floor, colorful wall hangings and traditional Egyptian art, the Sphinx is like a crash course in Mediterranean culture. There isn’t a Starbucks brew in existence that could rival the warm rush of Arabic coffee; and the teas, both cold and warm, are delightfully bitter, and even more delightfully sweetened with a squirt of honey. But baklava and imported juices are mere aperitifs to the true connoisseur: The real deal is the authentic Egyptian hookah – or shisha – flavored with rose, cappuccino, strawberry or mint tobacco. Groups of friends gather on the floor to converse, sip a glass of warm milk, and relax in the haze of incense-like tobacco smoke. This family-owned establishment is a key gathering place for shisha fans and novices, far away from the crowded HKAN hookah bar, and Friday nights often yield Middle Eastern pop music and authentic belly dancing. Photograph of my one-man show, based on The Archipelago, which took place at Future Tenant as part of its Trespass Series. Taken by Don DiGiulio. The Pittsburgh Cultural Trust has boomed in recent years, and Downtown is now flooded with galleries. 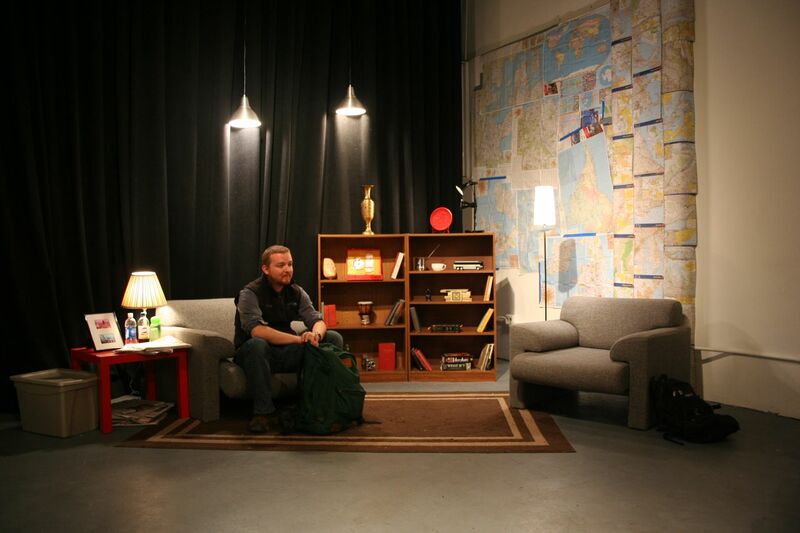 The most unique specimen is Future Tenant, a dusty, cave-like arts space that bears exposed ceilings, punched-through walls, and no restroom. Working in an office that looks much like a bomb shelter from the London Blitz, the Future Tenant staff attracts dozens of artists a year to its rugged space, showing paintings, murals, installations and live bands – an ambitious revue for a gaggle of twenty-something MBA students. Future Tenant’s odd gimmick is its temporiness: If another proprietor promises to rent the space, then Future Tenant will vanish. But until someone decides to pay the hefty rental fee, the gallery remains, under the guidance of the Cultural Trust. Now a requisite stop during the Downtown art hops, Future Tenant is a hospitable host, serving wine and crackers to anyone who ambles in. The gallery has also broadened its artistic scope with the Future Ten Play Festival, and more ambitious theatrical events are pending. Obviously, the Cathedral cannot be summarized in 150 words. But it’s amusing to read the attempt. Photograph of wedding, Phipps Conservatory. 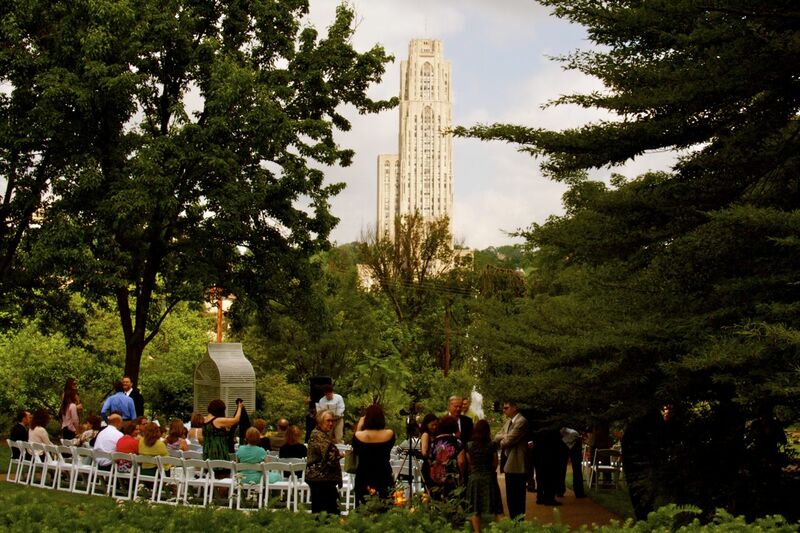 Pitt students have a saying: If you ever get lost, just starting walking toward the Cathedral. The 42-story building, constructed at the height of the Great Depression, is both a towering monument and a colossal schoolhouse, entertaining thousands of students visitors every week. From the basement studio theater to the ground-level computer labs and Chick-Fil-A, all the way up to the top-floor Honors College, the Cathedral of Learning is renowned as one of the most stunning collegiate landmarks in world. The view from the upper echelons is staggering, including a panorama of Schenley Park, Flagstaff Hill, Carnegie-Mellon Campus, and even the ever-mist-enshrouded Downtown. Visitors can peruse the dozens of Nationality Rooms (constructed by diverse local heritage organizations) and then laze in the grass of the Cathedral lawn. The lights in the Cathedral never go out, owing to the nonstop nocturnal activities: Night classes, Movie Night at the Honors College, plays in the Heymann Theatre, and Friday Night Improvs every week. Long considered the pinnacle of Pittsburgh architecture, the Cathedral of Learning is a Homeric tribute to higher learning. Photograph of Oakland business district. Like Hemingway’s, this corridor has changed dramatically over the years. These storefronts once belonged to The Beehive, an epic bohemian coffeehouse and cinema. Once a hotbed of angry poets and chain-smoking bohemians, Hemingway’s has transformed in recent years, veering away from its titular reputation as a “café.” Ever since the management installed large overhanging TV’s – which are perpetually tuned to sports channels – and introduced really, really cheap beer, Hemingway’s has become a touchstone for the University of Pittsburgh’s fraternity crowd. Public readings, which were once a famous occurrence in the backroom, have petered out, leaving room for enormous drunken birthday parties and post-midterms revelry. The antique wooden finish remains intact, as well as the English-style pub menu, which becomes half-priced after 11PM. In a way, Hemingway’s is now a less pretentious locale, providing $1 Molsens and heaping plates of pita chips to the University’s more casual crowd. And it’s not uncommon for regular guests to find photographs of themselves on the back wall. Hemingway’s is also known for celebrating aspiring bartenders – some lucky students have found their liquor-shot concoctions printed in stand-up menu, one of the few traditions that have remained intact. An excerpt from my latest book project, tentatively called The Rocket Festival. The chapter tells the tale of the founding of Laos, a story that mixes historical fact and fairy tale. Words can’t describe my relationship with The Rock Room. I once lived around the corner in Polish Hill, cavorted there often, and I even attended a wedding between two of its bartenders. Plenty of drama unfolded there, but I am deeply nostalgic for that neighborhood pub and all its shenanigans. 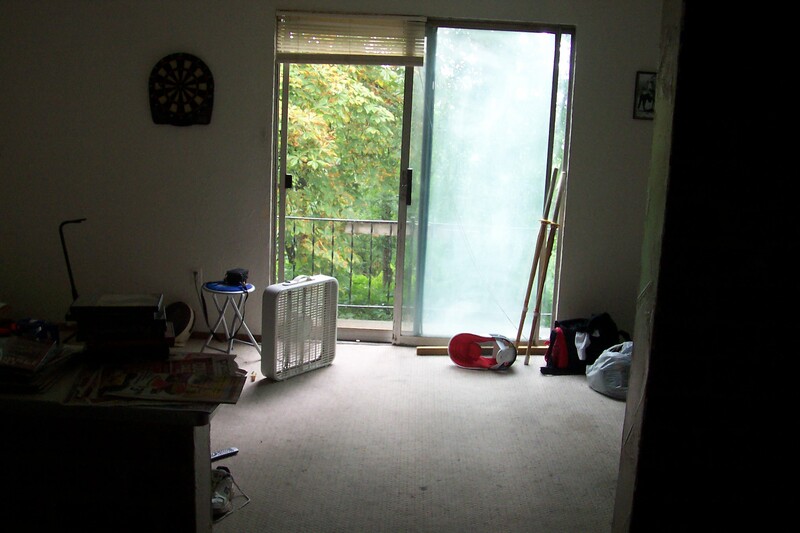 Because I didn’t really take pictures back then, I have no photographs of Polish Hill—except for this one, of my old apartment, which pretty much summarizes my mid-twenties. When it was known as the Warsaw Tavern, this place was dark, dingy, smoky, and full of drunken locals. Renamed the Rock Room, the Polish Hill bar is slightly brighter, slightly less dingy, not quite as smoky and is still full of drunken locals. But the pool table’s ready for playing, the back room is dressed up nicely, the women’s room is completely refurbished, and the graffiti has been painted over – plus there’s a brand-new digital juke box and daily specials on drinks and food (Monday is 20-cent wings night – watch out!). While the crowd can be rough, almost every regular at the Rock Room is a hard-working, gold-hearted feller with a strong handshake and an evening’s worth of stories. The Rock Room is the classic neighborhood pub, with a faux-stone façade and bright neon lights – an electric mixture of old and new styles – where neighbors meet and share a few tales and opinions, and after a couple visits, everybody knows your name. 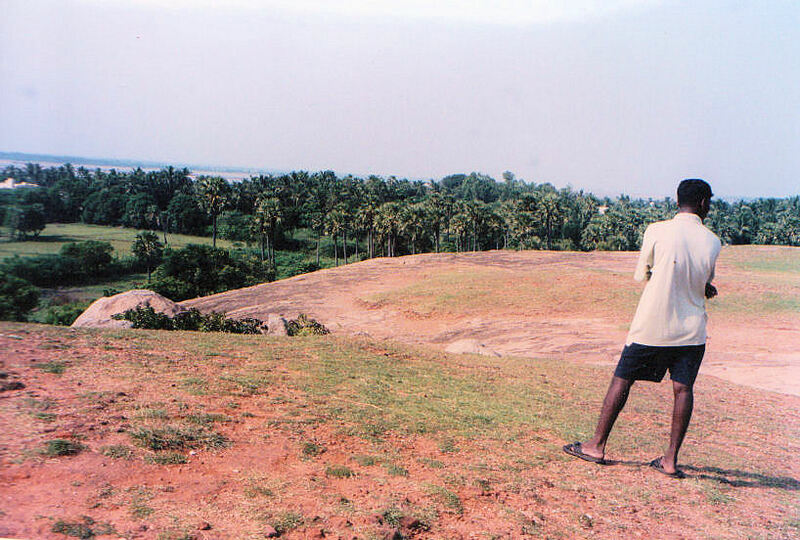 Photograph taken in Mamalapuram, India. Pittsburgh is home to a lot of Indians – arguably the largest concentration in the U.S. – so it’s no wonder that everybody has a different favorite Indian restaurant. If it didn’t have such spicy competition, Peoples would win hands-down: The one-room, family-owned restaurant is cozy and comfortable, a surprising escape from the run-down sidewalks of Penn Avenue. The fare is traditional, with puffy garlic nan and steaming vindaloo, but Peoples is renowned for its humble, hospital service and sprawling vegetarian options. 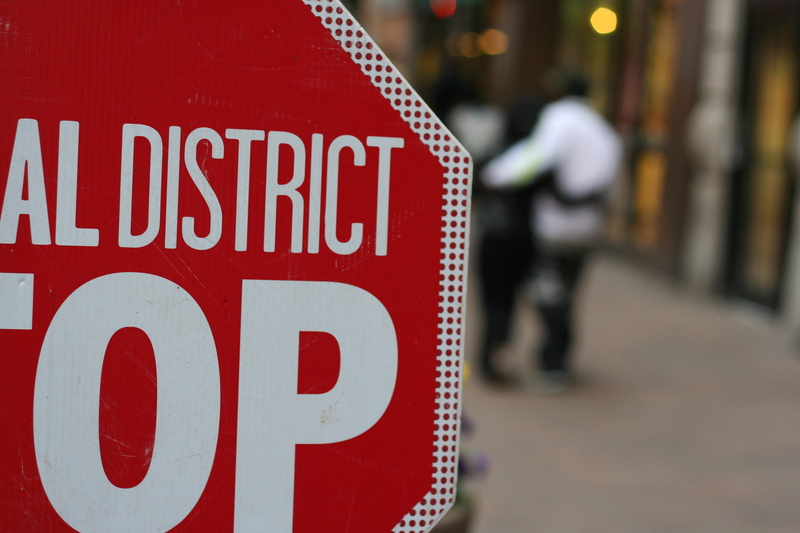 Following the newly progressive route of Garfield, Peoples is a favorite for hipsters, hippies and college grads, who enjoy its off-the-beaten-path location and quiet atmosphere. A much-loved dining option for couples on a third date, Peoples is romantically lit and the tables are respectfully spaced – a remarkable achievement for such a small business. And for globe-trotting students aching for a ticket to Bombay, the staff at Peoples provides an authentic Hindu environment – after a couple hours sipping chai, guests can almost imagine that it’s an overnight home-stay. Photograph of the Earth’s moon, taken from behind my house. The moon is a natural satellite that orbits our planet and is home to legions of man-eating creatures, a fact known by the government since the late 1960’s, apparently. A perfect question for a lazy Saturday: Why is Hollywood suddenly screwing around with NASA conspiracies? I’ve seen the trailer for Apollo 18, one of those mocku-horror movies with a “true story” and jittery cameras. While the footage has “not been modified,” the faux-casual dialogue is a dead giveaway that the movie is fake. The premise is that the so-called Apollo 18 shuttle blasted to the moon, astronauts hopped around, and then they were slaughtered by creepy-crawly aliens. The movie might be cute enough to see, maybe not at Loews (like Cloverfield), or at a ragged indie theatre (like Blair Witch), but certainly as a Netflix impulse. But after seeing Transformers 3, a cinematic car-wreck that transforms into a cinematic robot-wreck, I started wondering about all these blockbusters based on moon landings. Transformers 3 doesn’t have much to do with the Dark Side of the Moon, as its title would suggest; Michael Bay was much more concerned with tearing up the Windy City, using post-9/11 imagery that I can only describe as “uncomfortable.” But the teaser trailer, which even caught Kylan’s attention two years ago, preys on the story of the original moon landing. The movie even hired John Glenn, mythic astro-hero and personal conqueror of the Soviet space program, to insist that NASA discovered Decepticons and then lied about it. I am of two minds: Partly, I want to congratulate Michael Bay for his iconoclastic filmmaking. Literally, nothing is sacred to this man. Blowing up skyscrapers with airplanes? Urinating freely all over America’s most majestic accomplishment? Using John Turturro and Frances McDormand as bobble-head dolls? I was warned about the “ground zero” reference and torrents of paper flying through the air—though it barely softened the blows. Only a sadist would make John Glenn act, much less mock his own heroism for the sake of a plastic Hasbro doll. My other mind thinks: What an artless douche-bag. And what does it say about humanity that the film has grossed nearly a billion dollars? It’s fitting that NASA has fired its final manned shuttle. Everyone is disappointed, given our pride in the space program, but I am of the opinion that NASA could use some serious soul-searching before sending billion-dollar machines into space (maybe Michael Bay could fund one. Better yet, we could leave him out there*). Meanwhile, Hollywood has found its chance to rip up the floorboards, crack the foundation, and turn space exploration into an extraterrestrial joke. We’ve come a long way since 2001 and Star Wars, when the universe seemed so large and full of possibility. Never mind the goodwill and curiosity of Star Trek, which not only shaped my childhood but much of my worldview. The galaxy-spangled blackness that once promised Star Children and The Force is now a black hole of overgrown locusts and giant robot warriors with swords. Why go where no man has gone before? You’ll probably just get eaten by space monsters. Remember: IT’S INSIDE MY SPACE SUIT! These movies may be one small step for men, but they’re one giant stumble for mankind. My solution: Michael Bay needs a midnight jaunt. He needs to drive out to the middle of nowhere, far from his celebrity parties and CGI graphics. He’ll drive a dirt-road, somewhere in the desert, until he can’t see any lights or billboards. Then he’ll park, kill the engine and headlights, and step onto the sand. He needs to take a hundred paces away from the car, and he needs to spend three solid hours. No pharmaceuticals, no cell-phone, maybe a flask of whiskey and a milk-jug of tap water. And he needs to stay there, with only the sky for company. The only sounds will be the distant song of coyotes and the occasional mosquito. Then, at the end of those three hours—roughly the length of his last film—Michael Bay must return to his parking spot to discover that his car’s been stolen. Now he has to walk all the way back to the highway, and then he has to hitchhike. Now go make a real movie. * Not that I wish any actual ill-will toward Michael Bay, who might be, in personal, a totally cool guy. But the thought of leaving people in space did remind me of that terrifying Dr. Poole scene. When I wrote this description for DigitalCity in 2004, I had already spent umpteen evenings playing darts and sucking the marrow out of BBQ wings. 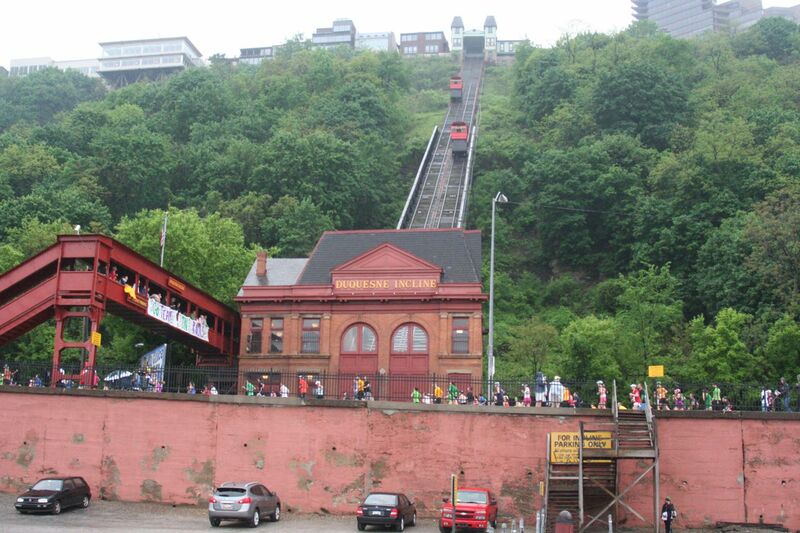 Note that Redbeard’s used to be officially known as “Redbeard’s Mountain Resort & Yacht Club.” Photograph of the Incline, which lifts commuters from Station Square to Mountain Washington. Mt. Washington isn’t exactly a mountain, and Redbeard’s isn’t exactly a yacht club, but nobody seems to mind. What Redbeard’s lacks in 30-ft. wave cutters, it makes up for in good tunes, good people, and lip-smacking Buffalo wings. A dark, two-room pub with a long bar and plenty of tables for groups, there’s no better spot for some dart-throwing, pitcher-swilling, and the traditional guys’-night-out. This is the kind of dive where friends meet neighbors for a midweek drink and play some aggressive Led Zeppelin songs on the juke box. Redbeard’s rakes in the crowds every night of the week, but especially on Wednesdays, when 35-cent wings draw visitors from miles away. Other menu items include burgers and club sandwiches – some of the best bargains in a bargain-driving neighborhood. And while Redbeard’s serves a wide array of brews, including some tasteful European imports, Iron City and Yeungling remain house favorites. This month, check out Drawn in a Day at SPACE Gallery. Photograph of 2011 Gallery Crawl, originally taken for Pittsburgh Magazine. Downtown Pittsburgh has experienced an artistic renaissance in recent years, now that the Cultural District has come alive with theater, symphonies, and independent film. Thanks to the Pittsburgh Cultural Trust, we can enjoy yet another contribution: SPACE, a gallery and performance venue that directly complements the nearby Wood Street Gallery. Sharing themes and concepts with Wood Street’s innovative high-tech installations, SPACE promises easy, street-level access to the city’s most intrepid exhibitions. Continuing the building’s artistic tradition (it used to be a theater, back in the 1920’s), SPACE grants local artists the room to explore their ideas, and invites visual artists from across the country and around the globe to exhibit their masterpieces. With ceilings 17 feet high and 4,130 square feet of floor space, visitors can enjoy art pieces that range from abstract paintings to mobile sculpture and dizzying lighting and video effects. The latest in a series of exciting developments, SPACE deserves all capital letters.